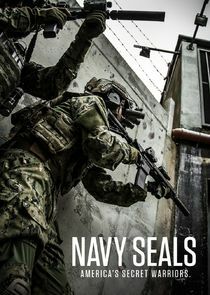 This is a four-hour, in-depth, behind-the-curtain look at the most prestigious fighting force in the world - the Navy Seals. From their inception in WWII (and the pivotal role the Seals played in D-Day) and through their missions in Vietnam, we trace the Seals rise to a watershed moment in 1980. After a failed government mission to rescue American hostages in Iran, Navy Seal Team Six - the elite of the elite - is formed. Seal Team Six is responsible for some of the most daring and iconic missions in U.S. military history, from the rescue of Captain Richard Phillips from Somali pirates to the epic take down of Osama Bin Laden. Their crucial role in the 21st century nature of war has made them a lethal team of highly-trained soldiers capable of executing missions anywhere in the world, at any time, against any enemy, and in near total secrecy.